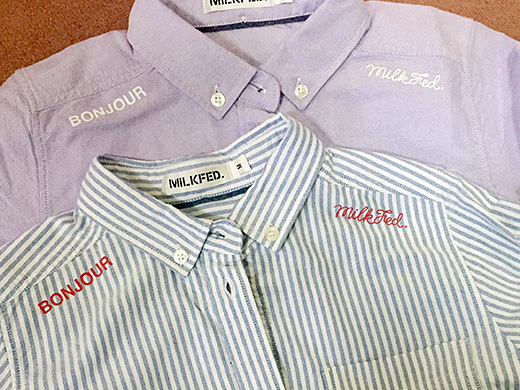 I got these shirts with a button-down collar from MilkFed. 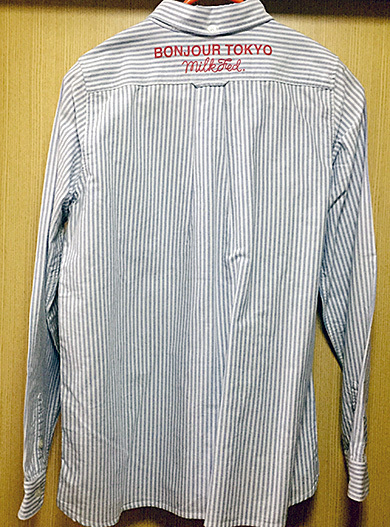 I love cool logo button-down shirts because it’s so easy to wear and it never goes out of style. 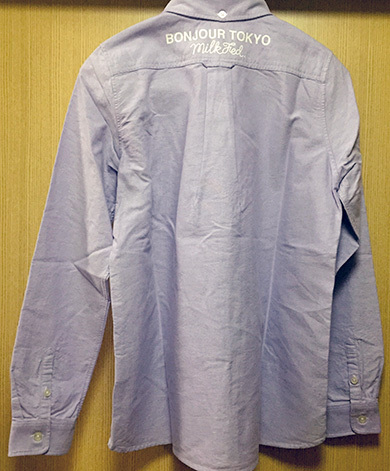 The shirt goes with flats for a girly look or sneakers for a more casual look. 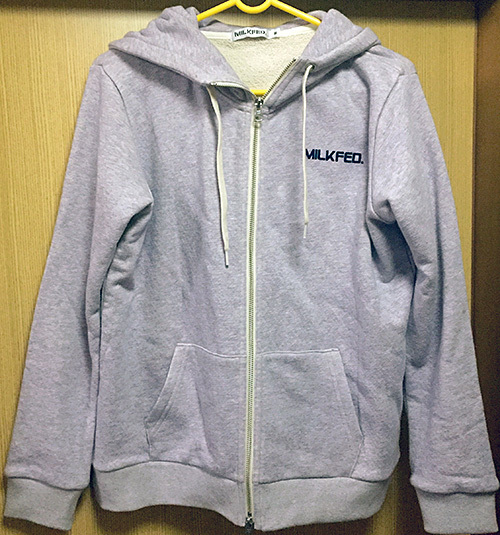 I got this cute hoodie from MILKFED. 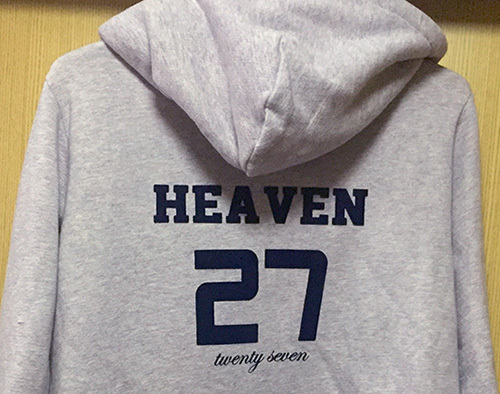 This cool logo hoodie is comfortable against the skin. 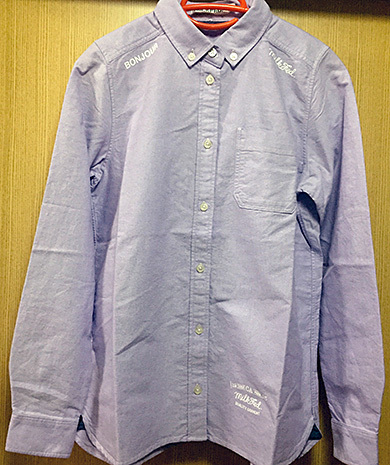 I love the light purple color which I can feel spring. For me, spring is the perfect time to wear a hoodie. 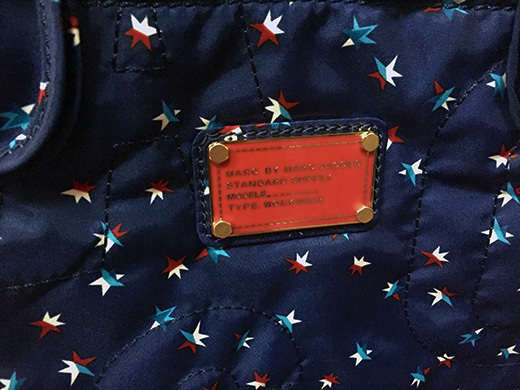 I got these Logo Disc O Cluster Pony Holders from Marc by Marc Jacobs. 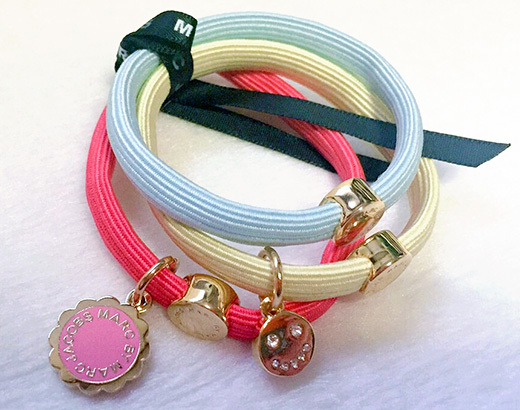 These 3 hair ties with polished and enameled charms makes me feel spring around the corner. I love the smile charm so much! 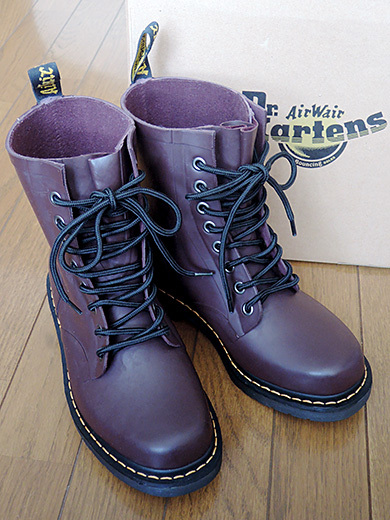 Very lately, I noticed Dr. Martens is producing some rubber rain boots. 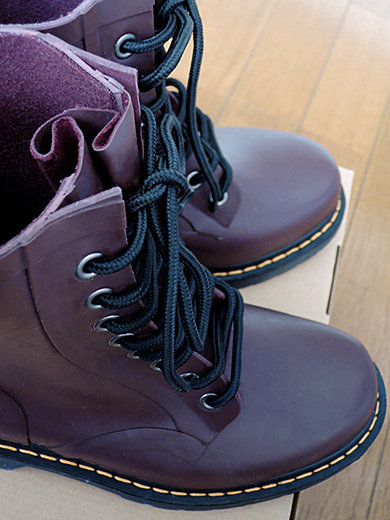 I got a pair of traditional color boots, cherry red ones. 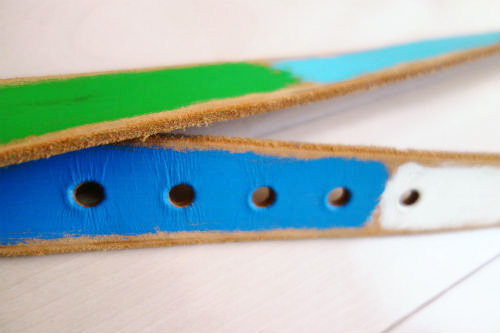 It looks like as same as ordinary 8-eyes, but the rubber boots have no slit to avoid wet. 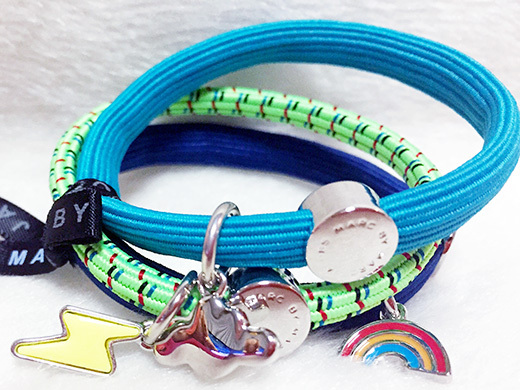 It would be makes me happy to go out on rainy day! 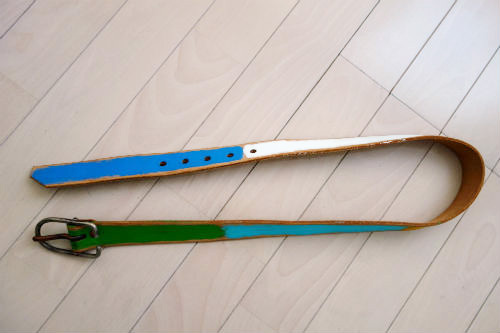 I got a very cool handcrafted belt which was made in U.S.A. by Billy Moore at Jack Spade. 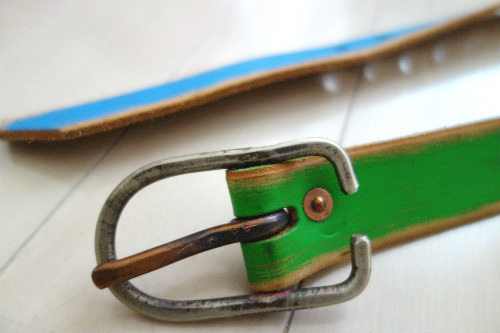 The belt is made of vegetable-tanned leather that is hand painted. 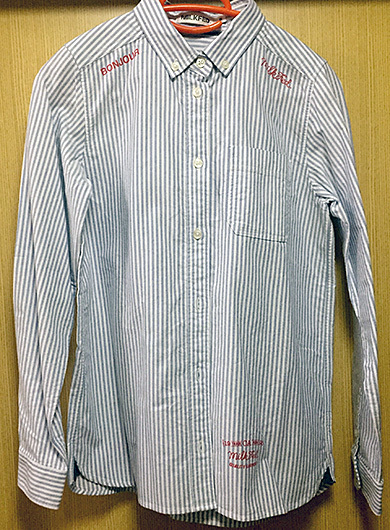 I love the vintage finish. 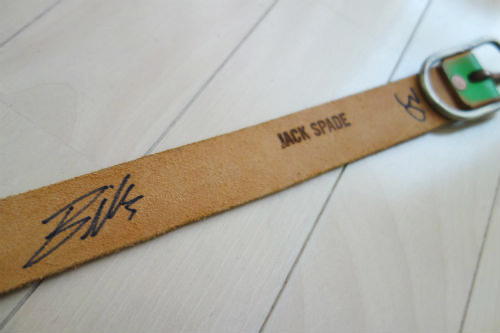 Also, his autograph and the size are written on the back of the belt. 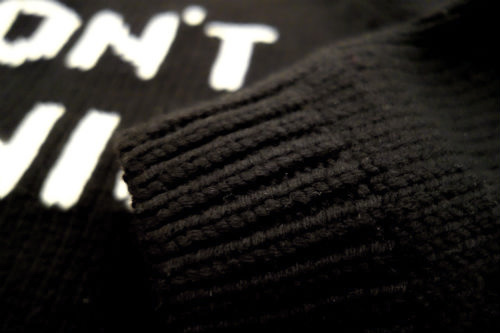 I got a 100% wool long sleeved crew-neck sweater from mrac by marc jacobs. 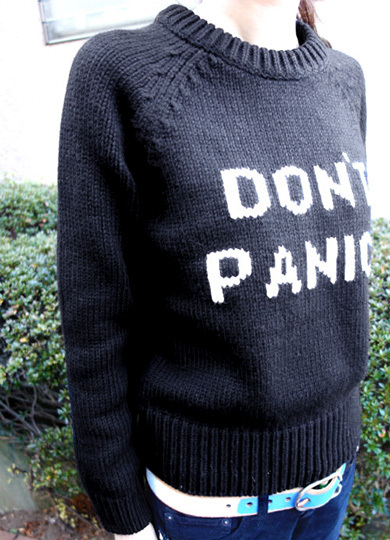 It is very cool the eye-catching graphic, ‘DON’T PANIC’ on the black. 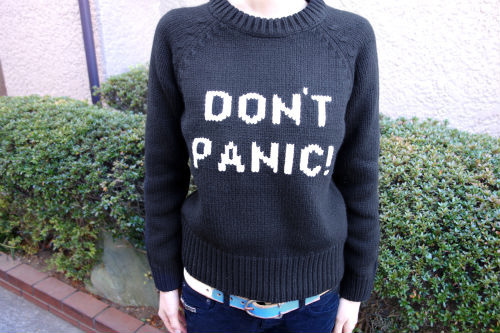 This very thick and fine knit is very good during the cold of winter. 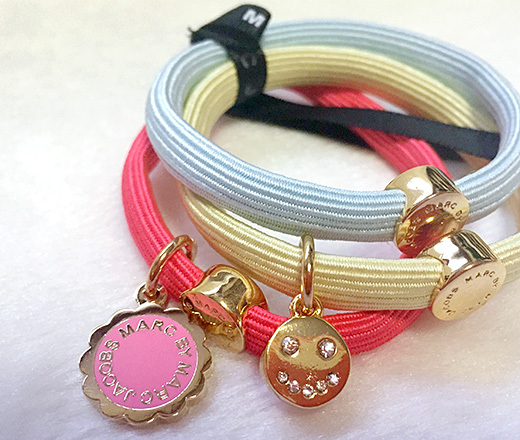 These are colourful hair ties from Marc by Marc Jacobs. 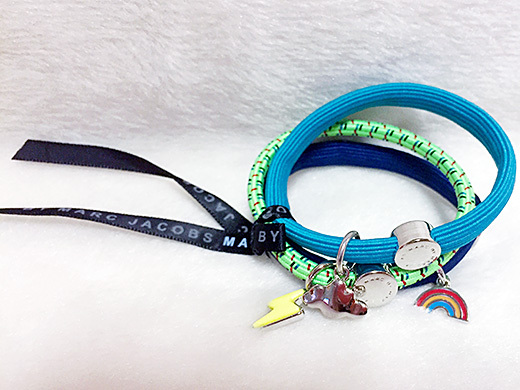 l love this cluster of playful charms that are a rainbow, cloud and lightening bolt along with signature Marc by Marc Jacobs signet disc. 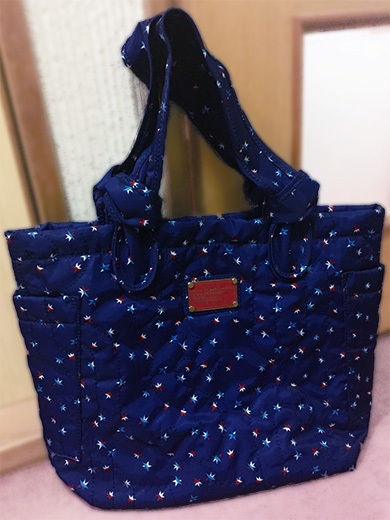 I got this nylon tote with stargazer print from Marc by Marc Jacobs. Pretty nylon tote is my favorite commuter bag. I’ve been using pretty nylon tote for years. 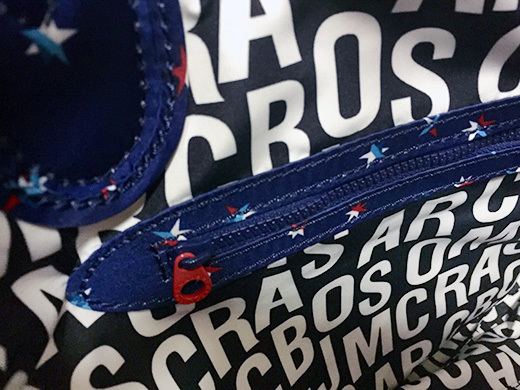 I’m sure this tote is going to be one of my favorite everyday bag.